Marvel at the lovely primates of Madagascar, an endangered species. 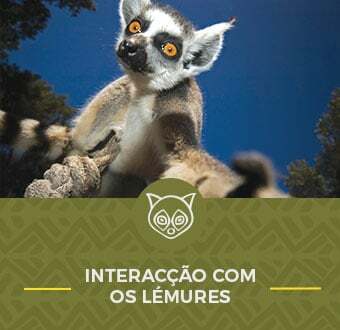 In an invitation to habitat and biodiversity conservation, a caretaker feeds the Ring-tailed Lemurs and the Red-bellied Lemurs, endemic to the island of Madagascar and an endangered species. 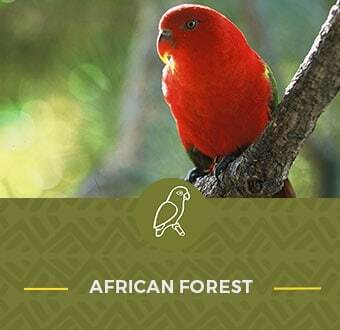 In this session, you will be able to observe the outstanding climbing abilities of these animals who spent most of the time on trees, while becoming aware of the destruction of the Madagascar Forest and the impact of human activity on ecosystems. 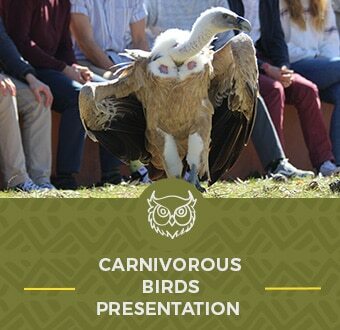 The role of Zoos in preserving biodiversity and raising awareness is also addressed. Millions of years ago a piece of land separated from the African mainland, giving birth to the Island of Madagascar. Now isolated, the creatures that lived there evolved independently, originating species that are unique in the world, like the Lemurs. This activity might be cancelled due to weather conditions, without refund. 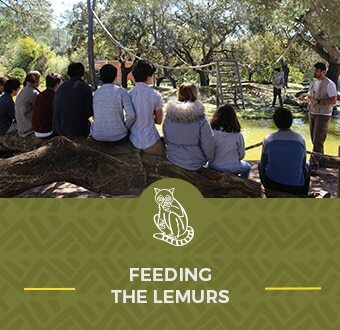 At Badoca Safari Park, two species of the big Lemur family coexist: Red-bellied Lemurs and Ring-tailed Lemuras, both vulnerable species in the wild. 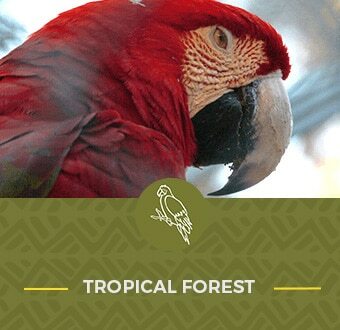 Badoca Safari Park uses its resources to increase the chance of survival of threatened species through in situ conservation projects and reproduction for conservation programs. 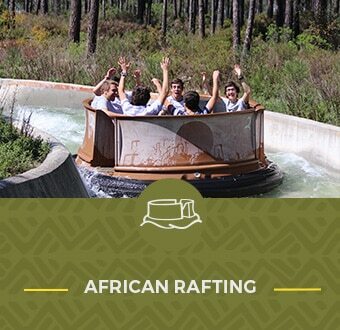 Badoca Safari Park is a member of the European Association for the Study and Conservation of Lemurs (AEECL), a consortium of 16 European Zoos which joined forces to carry out conservation projects for the critically threatened Lemurs in Madagascar. Ideally, Lemur conservation should be a consequence of the preservation of their natural habitats: in situ conservation. However, in situ conservation is not enough, as the natural habitats are progressively destroyed and the animals are hunted or put in captivity. Ex situ conservation (that is, outside the species’ natural habitat) emerges as vital response to the question. 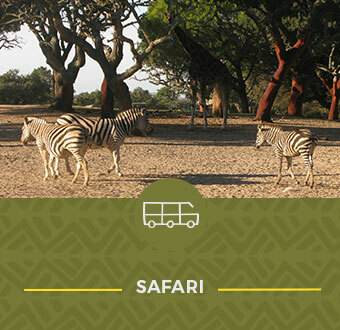 Badoca Safari Park is the only zoological park in Portugal to have Red-bellied Lemurs. 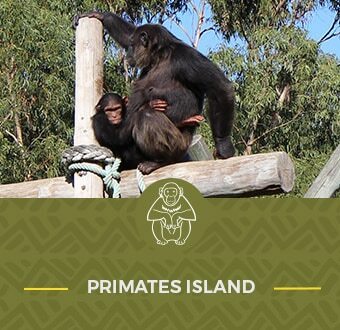 We have created an island with unique conditions for this species, with animal welfare conditions that promote natural behaviors in these animals, similar to those observed in the wild. Ex situ conservation is made through participation in captivity breeding programs, thanks to which it is possible to save endangered species, by introducing genetic diversity in the populations in captivity and then reinserting them in their natural habitat. In Europe, these actions are taken under the “European Endangered Species Program” (EEP), coordinated by the “European Association of Zoos and Aquaria” (EAZA). The Lemur – which means “ghost” – is a primate endemic to Madagascar. Several Lemur species are now endangered as a result of their habitat’s destruction, caused by the commerce of the valuable timber found in the forest of Madagascar.